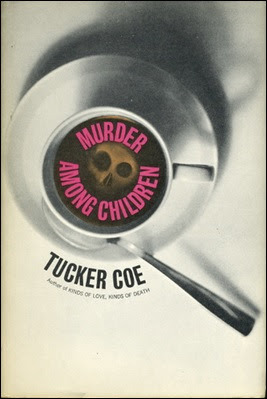 Donald E. Westlake's Murder Among Children (1967) originally appeared under the name "Tucker Coe" and is the second of only five private-eye novels about a disgraced ex-policeman, Mitch Tobin, whose partner was shot and killed when making an arrest – while he was in bed with a woman who was not his wife. Tobin was summarily dismissed from the NYPD and withdrew from the world, into his suburban backyard, where he had began to work on a wall. If you're a long-time reader of this blog, you're probably wondering why a fervent classicist, like myself, picked a relatively modern crime novel with a tormented ex-cop, soaked in guilt, as its protagonist. There's a perfectly logical and even predictable reason for picking this title. Murder Among Children was brought to my attention by the Thrilling Detective Website, which has a page, titled "And Throw Away the Key! Locked Room P.I. Mysteries," listing "locked-room capers and other impossible crimes that good ol' regular joe private eyes cracked" – a list that includes such names as Lawrence Block, Henry Kane, Jonathan Latimer and Bill Pronzini. So that placed the book on my wish list, but what really aroused my curiosity was the publication date. On his excellent website, Mike Grost remarked, in reference to Helen McCloy's The Further Side of Fear (1967), that "the late 1960s is an atypical era in mystery history for a writer to develop an interest in locked room puzzles." The '60s was a dark decade for traditional, plot-driven detective fiction and impossible crime (short) stories were primarily being written by two masters of the short story format, Edward D. Hoch and Arthur Porges – who kept the home fires burning in Alfred Hitchcock's Mystery Magazine and Ellery Queen's Mystery Magazine. There are one or two notable (locked room) novels from this period, like McCloy's Mr. Splitfoot (1968), but then the movement within my beloved sub-genre pretty much grinds to a halt until the 1970 and '80s. So I had become curious about this fairly modern, somewhat gritty locked room novel from the sixties. And I'm glad to report that Murder Among Children was far better than I anticipated. Let's dig in. A slightly bitter and world wary Tobin has buried himself in the garden of his suburban home, in Queens, where he lives with his wife and fourteen year old son, but a widening rift exists between them. Particularly between Tobin and his teenage son. So he has began building a wall around the garden ("its construction was its own purpose"), but, one day, a distant relative turns up on a his doorstep, Robin Kennely – an 18-year-old with friends who are in a spot of trouble. Kennely has a boyfriend, Terry Wilford, who opened a coffee house in Greenwich Village with three of his friends. A day or two after they opened, a plainclothes police detective, named Edward Donlon, dropped by to ask questions, make insinuations and harass their patrons by asking them for their identifications. So they think he either wants to make trouble for them, because he doesn't like their crowd of people, or wants a bribe. A non-money bribe! Tobin reluctantly promises to come down to the coffee house the next day, but, when he arrives there, Robin comes shuffling down the stairs holding a carving knife and smeared with blood – after which she collapses. Upstairs, there are two bodies slashed to ribbons. One of the victims is her boyfriend, Terry, while the other is a heroin-addicted prostitute. The locked-off situation of the upstairs floor and the witness downstairs appear to eliminate the possibility of the presence of a fourth person, which results in the arrest of Robin, who has no recollection of what happened. You would expect this is the moment when Tobin rises to the occasion and intrude on his former colleagues in order to exonerate Robin, but he tightly shuts the door to the outside world behind him and refuses to have anything to do with the case. This has deadly consequences. George Padbury is one of the three partners and was downstairs when the murders happened, who suddenly remembered an important detail, but Tobin resolutely refuses to talk with him over the telephone. So the next time he hears about Padbury, he has been killed in a hit-and-run. So, inch by inch (or brick by brick), Tobin is slowly pushed out of his garden and is encouraged by his wife to "go on out and talk to people, nose around, do this, do that" and "find out who really did the killings." During his private investigation, Tobin is often assisted by one of three partners, Hulmer Fass, a young black man who helps him interview the pimp of the murdered prostitute and pretty much acts as a cultural interpreter. But the investigation also brings them to a religious group, New World Samaritans, who leased the building to the three young men and are lead by a blind man, Bishop Johnson. Actually, Tobin finds the key to this case only a stone's throw away from this new age church, but the path he has to take to reach that point is littered with complications and corpses – which eventually gets him arrested on suspicion of Donlon's murder. And the policemen, who interrogate him, come up with a false solution that made him the perpetrator of the double locked room murder! A very modern interpretation of the Anthony Berkeley-style false solution, but this interrogation helped Tobin put the final puzzle pieces in their place. Firstly, the solution to the locked room puzzle is not terribly original and merged to very basic techniques of the impossible crime story, but these techniques were put to good use here and made sense, because (like the whole solution) it hinges on the actions and personality of the murderer – who was not exactly in the right frame of mind. All of the pieces fitted nicely and logically together. My only real complaint is Robin's shocked state and amnesia, which was an incredibly convenient thing to happen for the plot. If you logically follow the sequence of events, there should have been three bodies on the second floor. Or, at least, Robin should have been severely wounded and unable to identify the murderer. Besides that, this was a pretty good for a detective story written and published in the 1960s. Murder Among Children is the type of (locked room) P.I. novel Pronzini wrote in the 1980s and should be seen as a precursor of Hoodwink (1981), Scattershot (1982) and Bones (1985). 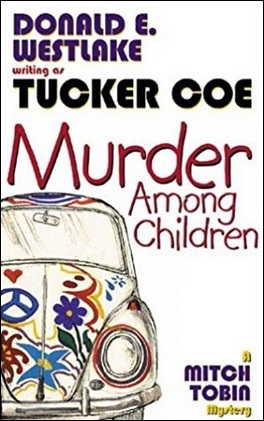 So, if you liked any of those three novels, you will certainly enjoy Murder Among Children. On a final, related note: I reviewed a number of locked room P.I. 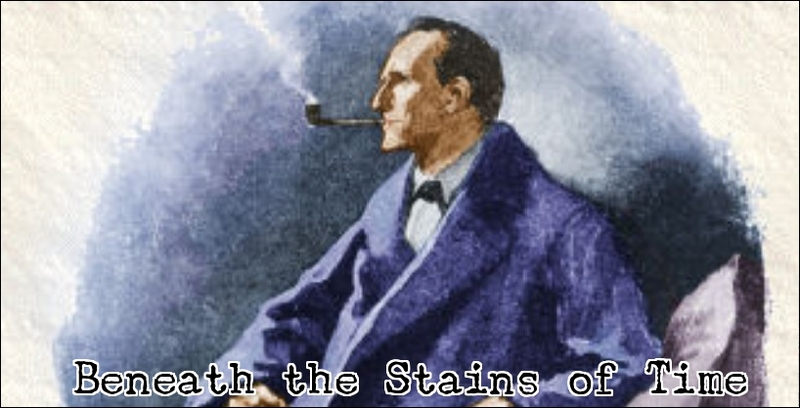 novels over the years that the Thrilling Detective Website forgot to list on "And Throw Away the Key." These titles are Anthony Boucher's The Case of the Solid Key (1941), Manly Wade Wellman's Find My Killer (1947), Bill S. Ballinger's The Body Beautiful (1949) and Roy Huggins' 77 Sunset Strip (1959). I have a copy of this! Man, how does this keep happening to us? Well, I presume it's because there are only so many sources for unheralded locked room novels (and, indeed, only so many locked room novels) and so we're going to stumble over the same things time and again. Heaven knows when I'll get to it, and I'm really not a fan of sudden amnesia as a method of enabling impossible crimes (and novels in general), but it's good to know there's good stuff in there. Many thanks! This was an excellent series. They also give you a good feel from the times when they were written. Tobin is about as different as you can get from Westlake's other character Parker, who has no conscience or guilt at all. There were only 5 books in the series. Like Cribb, I thought it was much too short a series. I think that when Westlake was asked why there were no more, he replied that he had said everything he had to say about the character. I wish modern authors had his kind of integrity. "I wish modern authors had his kind of integrity." I agree. But then we'll complain that they abandoned a series too soon.